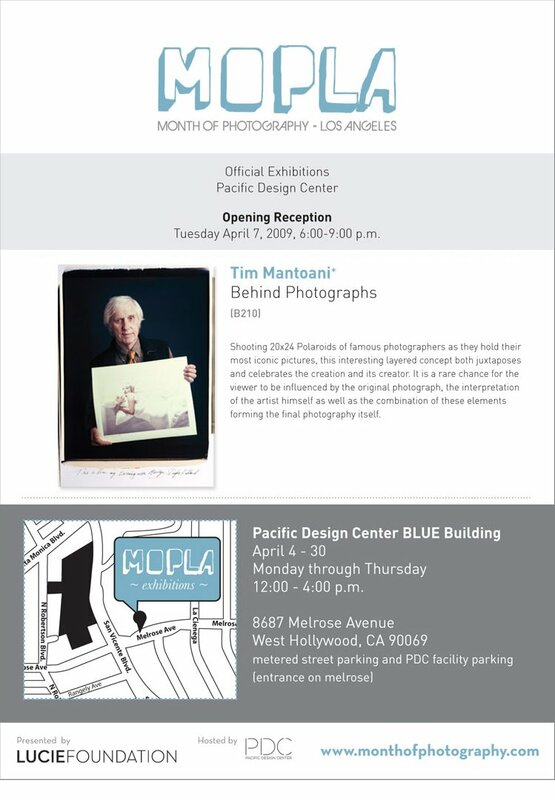 Thanks to the fine folks at MOPLA (Month of Photography LA) and the Lucie Foundation, I will be showing about 30 of my 20x24 Polaroid portraits of photographers at the Pacific Design Center during April. The opening reception is on April 7th from 6-9 and is open to the public. Thanks again to all of the photographers and people to have helped support this project to date. I now have over 100 photographers recorded for this project and hope to have a book out in 2010. Hope to see you in LA.